Some of the most terrible spills can happen in the blink of an eye. Anything from red wine spilled on your freshly installed carpet, chocolate syrup from the kids on the couch, or the big 'oops' from Rover when you didn't get him out the door fast enough. 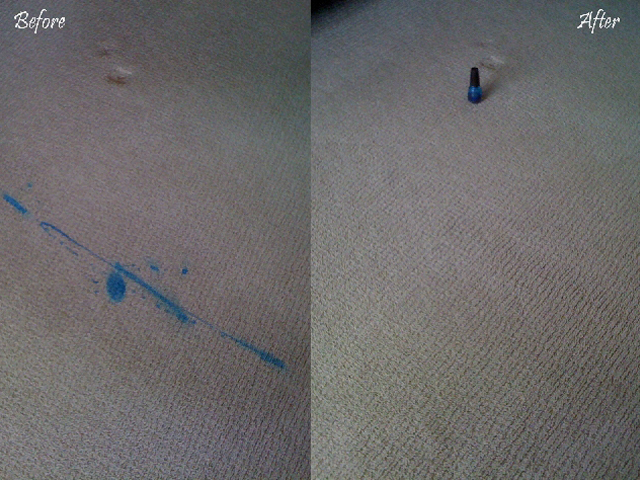 And can you imagine that bottle of nail polish tipped over on your living room carpet? Our trained technicians have the skills and patience to deal with these accidents. Specializing in some of the toughest stain removals in the industry, Go Green carpet cleaning takes on the toughest jobs that our competition refuses. This is just one of the ways we are trying to separate ourselves from our competition.